Just fill out a form to create your outline. What could be easier? Are Essay Outlines Difficult for You? Not any more. We have broken down essay outlining into a series of easy steps. 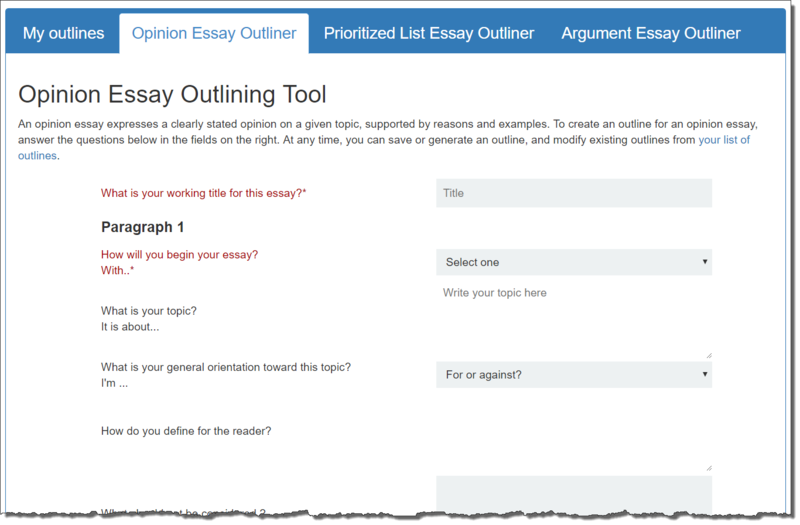 All you have to do is answer a few questions, make a few choices, and the Virtual Writing Tutor builds your essay outline for you. This is the most common essay outline that teachers will ask you to write. They want an introduction with a thesis, 2 body paragraphs, and a conclusion that restates your thesis. Simple, right? No so fast! The internal workings of an effective introduction can be a bit complex, but we’ve made it easy for you. How will you generate interest in your topic? How will you grab the reader’s attention? Here are 6 easy ways to do it. Take a stance on a controversial topic or practice and tell the reader if you for or against it. Define your terms and limit the scope of your essay topic to give your essay focus. You need to tell the reader what exactly you are talking about and what you are not saying. So if you are arguing about a certain practice in education, make it clear that you mean formal institutional education or informal tutoring or coaching. Then, limit your topic by saying whether you include or exclude elementary, secondary or university education in your analysis. This is a step that students often forget, and the essay can easily go off track because of it. Now, say what should happen. This your thesis statement, the crux of your argument. To this thesis statement, add two broad reasons why. Thes two reasons tell the reader what the next two paragraphs will be about. The next two body paragraphs will explain your two reasons in turn, and they will offer examples and illustrations to support and clarify each reason. To conclude, restate your position, and then you must tell your reader what to do next. 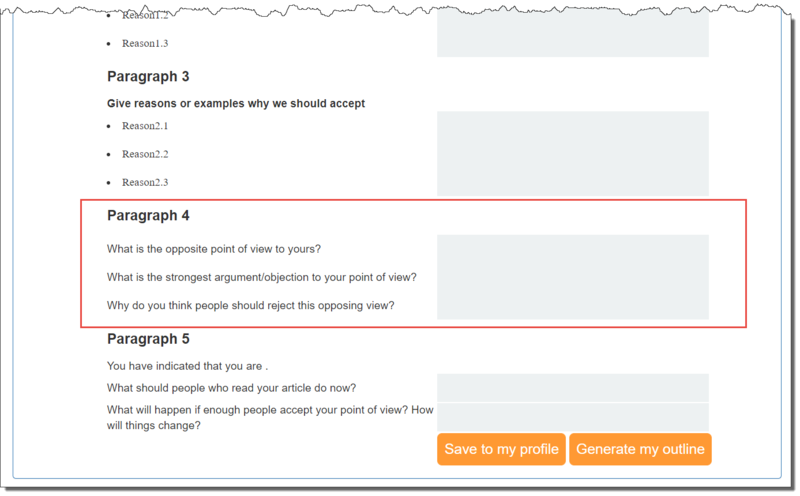 You have explained the problem and given reasons why above, but now you must tell the reader how they can help. Make a prediction about what will happen in the future if enough people accept and act on your suggestion. The end. The argument essay is like an opinion essay with one big difference: you must identify a counterargument, concede, and refute! 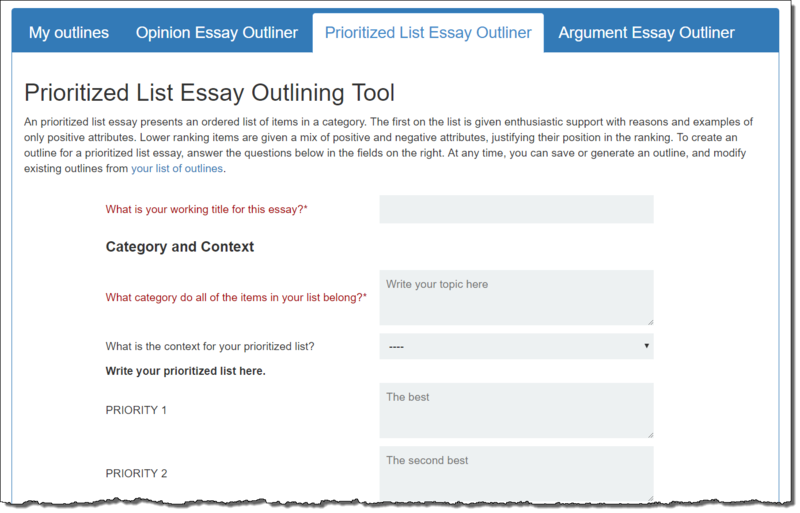 We make it easy for yourself with the Argument essay outliner. This is a rather rare discourse model. Many teachers neglect this type of essay, so if your teacher tells you to do your own thing, a prioritized list essay is what you should write! And we’ve made it so easy that it practically writes itself. That’s easy. 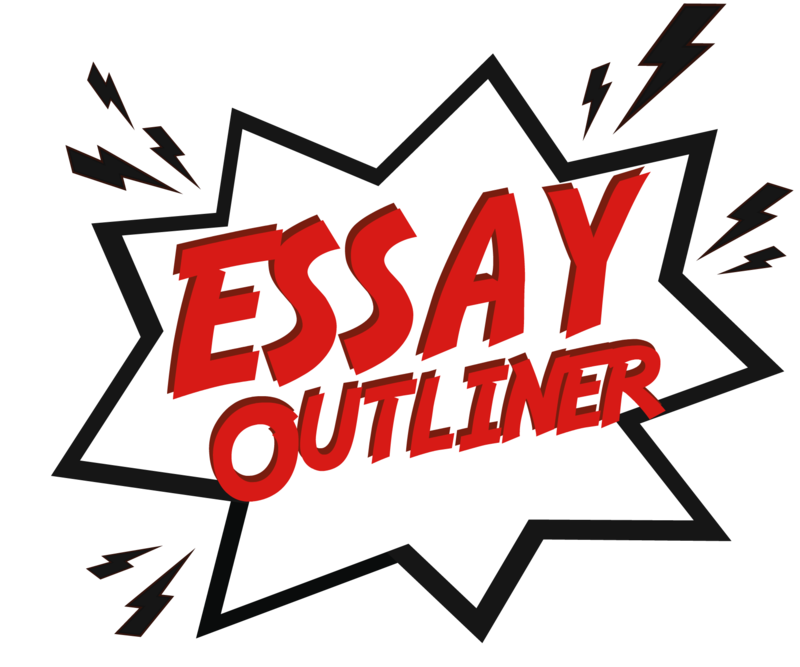 Write your essay outline here. You will need a free account on the Virtual Writing Tutor so that you don’t lose your work.